Dr Rosa Hoekstra is a lecturer in Psychology. After finishing her PhD in Behaviour Genetics at the VU University in Amsterdam, she continued her research through a postdoctoral fellowship at Cambridge University’s Autism Research Centre. Since 2009 she combines her autism research with teaching Psychology, first at The Open University (2009-2015) and now at King's College London (2015-present). 1) Furthering the understanding of the heterogeneity of autism, by developing and validating quantitative instruments to assess the variable expression of the autism phenotype and its cognitive characteristics, and exploring the genetic and environmental factors influencing autistic traits using twin and family study designs. 2) Global perspectives on autism with a specific focus on Africa. RH is PI on three projects involving children with developmental disorders in Ethiopia: i) the ASTA research project exploring social and cultural factors on autism in Ethiopia; ii) the HEAT+ project, evaluating the effectiveness of mental health training on increasing autism awareness and general mental health awareness among rural community health workers in Ethiopia; iii) a comprehensive pilot of WHO’s Parent Skills Training (PST) programme for caregivers of children with developmental disorders, testing the feasibility and acceptability of implementing the programme in Ethiopia. Ethiopian community health workers' beliefs and attitudes towards children with autism: Impact of a brief training intervention. 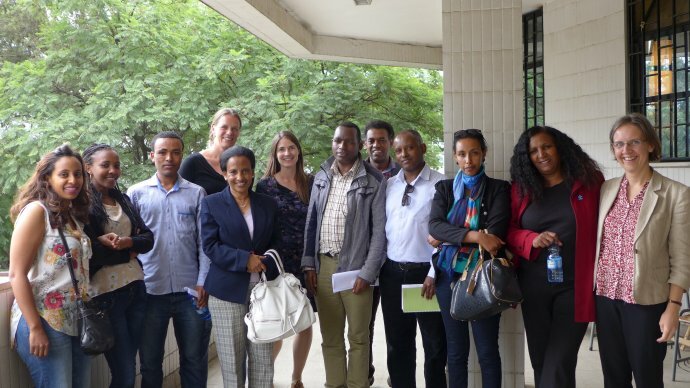 Challenges and opportunities to improve autism services in low-income countries: lessons from a situational analysis in Ethiopia. Stigma, explanatory models and unmet needs of caregivers of children with developmental disorders in a low-income African country: a cross-sectional facility-based survey.